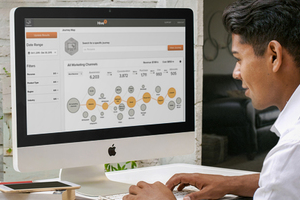 Marketing performance management company Hive9 unveiled a new solution designed to automate the journey mapping process for B2B organizations. The solution analyzes a variety of customer journeys and prospective buyers to map marketing and sales touchpoints that can lead to a higher propensity to close deals. Its capabilities also include built-in tag management and messaging functionality designed to help marketing and sales create the right sequence of messaging and content to drive more prospects to take a particular path to purchase.